psyko pad | Sonic Smash-Music! 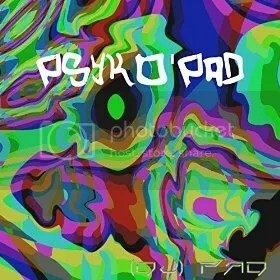 France’s most prolific producer of electronic dance music, DJ Pad, has released his first full-length record for 2016, “Psyko’Pad.” Much more than a mere LP album, “Psyko’Pad” is a titanic, towering, lordly achievement of a record bearing 18 tracks over 2.8 hours. Also, as a special treat for his fans this year, Pad has included a remix of each of the record’s songs in one continuous track. This brings the combined total listening time of “Psyko’Pad” to five hours, 38 minutes, making it one of the longest releases in music history and one of the best values on the digital music market ever. For “Psyko’Pad,” DJ Pad cites several fellow digital composers as main artistic influences. He emphasizes Cosma (“This is one album he has made that pushes me to begin composing”) and Hallucinogen (“one of the founders of psytrance music”), before listing Cosmosis, Astral Projection, Psycraft, and Infected Mushroom (“They make music that is really inspiring for me”). As one of the busiest DJs in Europe boasting one of the largest repertoires of original music in history – he has written and recorded more than 700 songs, to date – DJ Pad has records in nearly every electronic music genre. In the past these have notably included electro house, trance and dubstep, with elements of a great many other subgenres thrown in. Previous full-length albums from DJ Pad include “The Hymn of Brotherhood,” “Waiting to Be Discovered,” “A Trip in My House Part 1,” “A Trip in My House Part 2,” “Y,” and “Dubstep: First Strike,” almost certainly with a great many more to come. This sentiment shows in the personal connection he feels with his music, too. “Psyko’Pad” by DJ Pad is available from the 4000 Records independent label at over 700 digital music stores worldwide. And it is monumental.